Eyes often gloss over when people broach the subject of modem-routers. That’s not the case with D-Link’s Taipan, a modem-router that looks like the wacky lovechild of Alien and Optimus Prime. This enormous piece of home networking gear isn’t coloured in the typical white/black/grey. 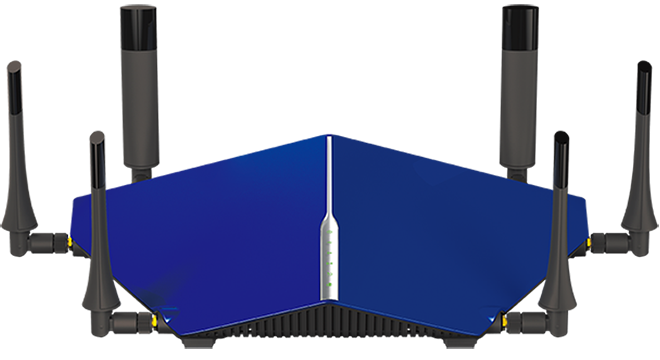 A bold, bright blue catches the attention of any passer-by, while six — yes, six — antennas protrude from its body. It looks how it works: provocative, otherworldly, high performing. Even the moniker drives this point home. To you and I it goes by the name ‘Taipan’, after a species of venomous snakes endemic to Australasia. A name more menacing, there is none. Separating the Taipan from its 890L predecessor is a handful of changes. Some are inconsequential, such as its colour and the fact its antennas are removable. The other is a deal maker: the older 890L was a router alone, while the Taipan integrates a modem ready for all types of Internet connections. It’ll work with Australia’s NBN, the UFB in New Zealand, VDSL Internet and ADSL networks. Household devices communicate with the Taipan over three network bands. It supports the 2.4GHz and 5GHz frequencies, only it has two 5GHz radios. A single Taipan router can broadcast three wireless networks. Here’s a breakdown of its 3200ac rating: 600MHz for the 2.4GHz, 802.11n network, and 1.3GHz for each of the two 5GHz, 802.11ac networks. The back of the Taipan hosts a USB 3.0 port and another USB 2.0 port. Plugging a hard drive into these ports makes it possible to share files wirelessly over a home’s Wi-Fi network. Working over USB 3.0 -- and not Gigabit Ethernet -- results in slower peak speeds. Do we really need Triband? The Taipan is purpose built for homes filled with smartphones, tablets, notebooks, computers, NAS devices, Smart TVs, media players, connected home appliances — basically everything with an Internet pulse. Having more bands frees up data traffic, just like adding another lane to a highway. The preconception a 5GHz network is suited for every device is not necessarily accurate. Only modern devices will take advantage of its potential. How then do you determine which device sits on what network? D-Link diligently takes care of the thinking. A feature called SmartConnect presents all three bands as one wireless network. Connect to the one network and the modem will automatically pair the device with a band that’ll allow it to reach its maximum speed. SmartConnect is an option that can be disabled, but switching it off means you’ll have to manage your household’s devices across three wireless networks. Another feature improves the quality of the wireless connection. Most modem-routers create a hotspot and trust a connection will be established anywhere within the area. The Taipan knows where a device is and it anticipates where it is going. 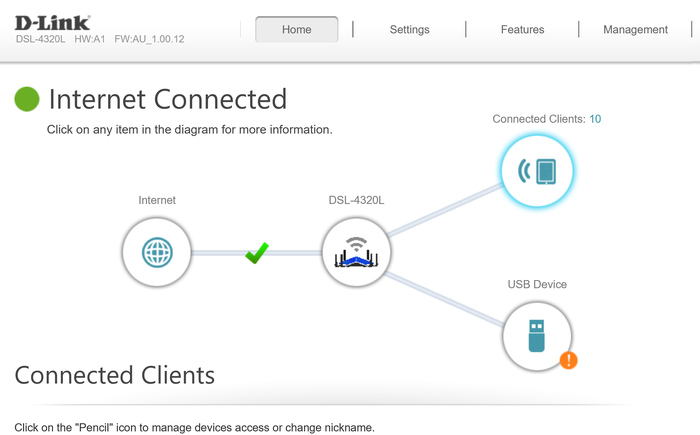 D-Link calls this feature “SmartBeam Formatting”. For all of its antennas, radios and technology, this isn’t a difficult modem-router to use. Energy has been invested in the design of its web interface. A wizard guides through the setup process, which has been streamlined down to just four steps. The default screen uses pictorials to explain what’s going on. Only the information that is relevant is presented, and this means ordinary users won’t be overwhelmed by networking jargon. Technical settings are available, the likes of management for QoS, VPN, web site filtering and static routes, only these settings hide a click or two away. Overseeing the status of your home network when out of the house is possible using the mydlink lite smartphone application. It displays the devices connected to Taipan, an overview of network activity and the option to enable/disable remote access at any time. The Taipan proved reliable throughout our three week testing period. Approximately six devices at any one time were being juggled by the modem-router; the SmartConnect software intelligently allotting the right product to the right band, with enough ease to inspire confidence in its ability to handle many more. On the PCWorld network was a Thecus N851 NAS and a 2016 Dell XPS 13 notebook, which was using a D-Link 1900ac adaptor for its Wi-Fi connection. 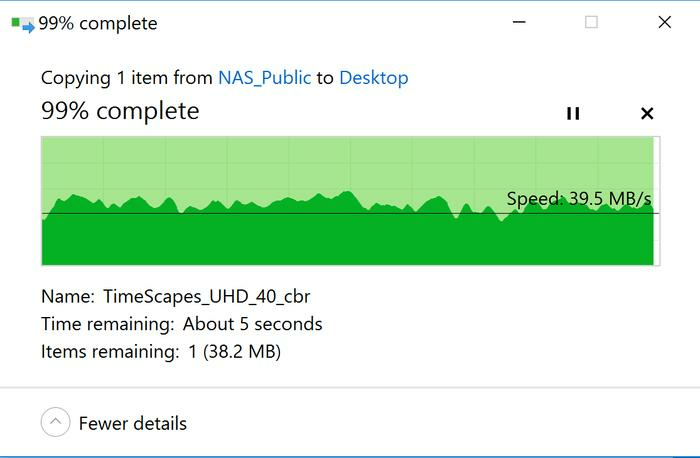 Transferring the 9.3GB 4K movie TimeScapes from the NAS to the notebook returned a peak speed of 57MB/s from a distance of 3 metres. 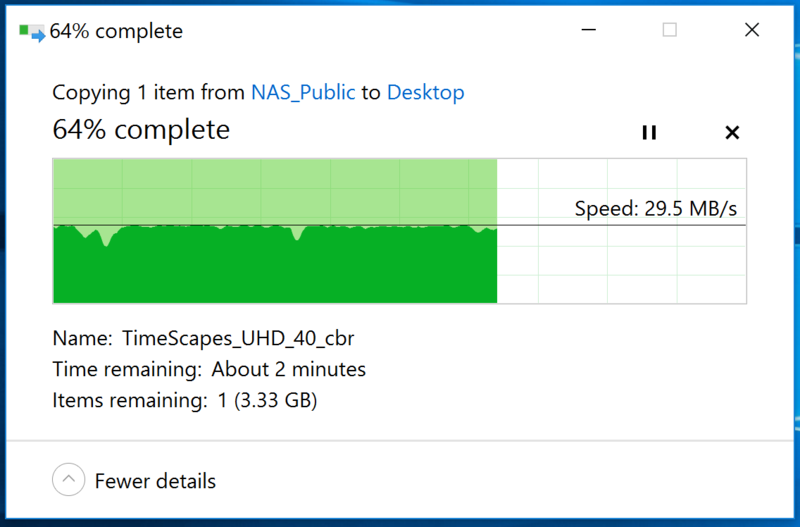 The speed naturally dropped when we ran the same test 15 metres away to 29.5 MB/s. Transferring approximately 140 music files organised in a dozen folders resulted in a slower rate of transfer. Recorded peak speeds include 13MB/s at a distance of 3 metres, and 11.6MB/s at a distance of 15MB/s. These transfer speeds are in contention with the generation old DIR-890L, the stand-alone router that inspired the Taipan. It is worth noting the tests were only performed over one of the modem-router’s bands and that it is likely a similar speed would’ve been achieved over the second 5GHz band during a simultaneous file transfer, which would effectively improve its data throughput. Two kinds of people will buy the D-Link Taipan. The first would be considering an upgrade in any case and they would be aware of the changing face of consumer technologies. Prospects of Internet capable 4K televisions, fitness wearables and tablets capable of dual-band performance would be on their mind. Buying the Taipan today would be an investment capable of sustaining the connected house of tomorrow. The second considering the Taipan, this six-antenna monolith that has two 5GHz radios, would already be there. 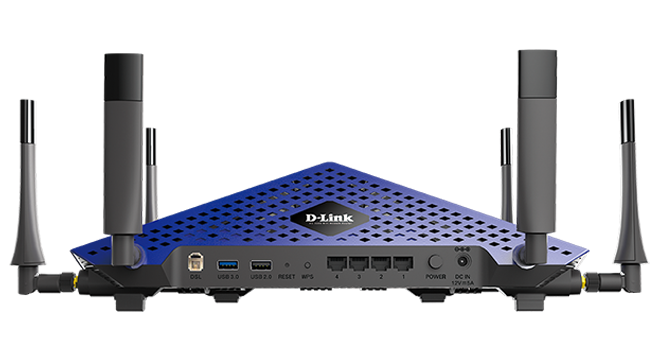 D-Link calls it the DSL 4320L, which hardly captures the imagination.